Bryan Buggey is a Director at the Vancouver Economic Commission where he leads a team focused on the ongoing development of a low-carbon, knowledge-based economy. This includes delivering on objectives for the City’s Greenest City Action Plan, 100% Renewable Energy City Plan, and other programs that foster innovation and growth in the Green Economy. Since 2010, the City of Vancouver has been executing on its world-acclaimed Greenest City Action Plan (GCAP) which aims to have Vancouver reduce its environmental impact, by a wide range of measures, and become the “greenest city in the world” by 2020. The plan is a bold one and has called on the Vancouver Economic Commission (VEC) and the City to support and enable innovation and innovators in new ways. The progress to date has been remarkable given the City’s historical past of natural resource development, however, it is also not surprising given the region’s rich history in environmental activism. Today, the City is more than half-way through the plan and has already produced some impressive results including a 15% decline in greenhouse gas emissions; 27% decrease in vehicle km driven per person, and a 23% decrease in solid waste to the landfill, all since 2007. Vancouver has transformed from a resource-based economy to a low-carbon, knowledge-based economy that can count over 20,000 “green jobs” representing more than 5% of today’s local workforce. Furthermore, local businesses from all industrial and commercial sectors are becoming more engaged in greening their local operations despite the lack of any meaningful federal or provincial regulations. Today, Vancouver’s economy is the most diversified in Canada and is enjoying one of the highest GDP growth rates in the G7 at 4.1%. Clearly, going green has not constrained economic growth. A key outcome from the GCAP is that it has enabled the VEC to support a thriving green economy and cleantech cluster and help establish the City as a green innovation platform. For example, the VEC’s successful Green & Digital Demonstration Program helps local cleantech, clean energy and smart city companies accelerate the commercialization of their new innovations by allowing free access to demonstration sites for pilot-testing, proof-of-concept, and showcasing. Another outcome of the GCAP is the work that the VEC is doing in partnership with City Planning to explore more innovative land uses and zoning for inner-city industrial land providing opportunities for future green enterprise zones and innovation districts. Vancouver is on a trajectory to become the greenest city in the world by 2020, but City Council has an even larger agenda. 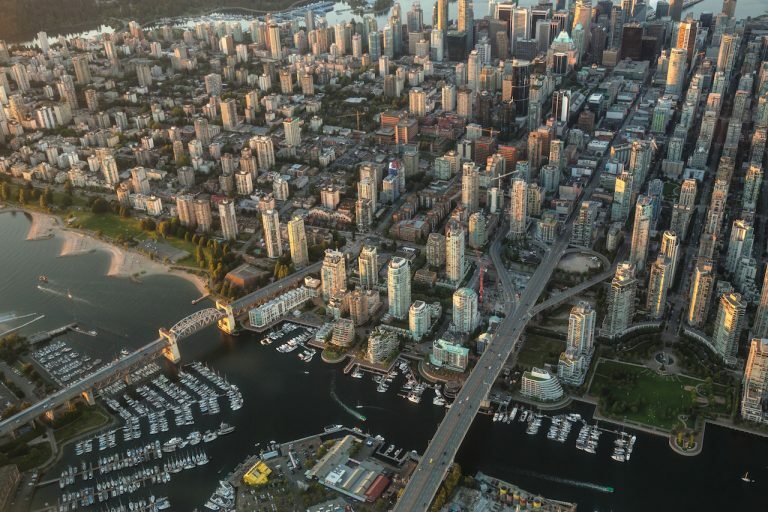 Last year, Council passed a motion to become a 100% renewable energy city by 2050 making Vancouver the first large city in North America to establish that goal. To achieve this new target, new policies and programs will be established which will, once again, lead to more innovation within the city. For example, the Zero Emissions Building by-law recently passed with a goal of having all new buildings achieving zero emission outcomes by 2025. This move has energized industry and government to establish a new Centre of Excellence for Zero Emission Buildings that will support local builders and designers, identify and remove barriers, and foster relationships between government and industry partners. When launched later this year, this new Centre will rapidly increase capacity and attract additional investment to stimulate innovation in the green building sector. Yes, good policy can stimulate green innovation and green economic development! The evidence is clear. Going green is good for business and the local economy. Vancouver is proving this every day. However, it is the innovation platform that cities can provide that is so important to our future and that can be emulated in other cities around the world for the benefit of humanity and our planet. One way that cities could improve transportation would be to provide a modest sized electric car along the same lines as many now provide bicycles. Park cars at convenient points around the city where they connected to chargers. Charge a sign-up fee to join the user community. Then issue a card, much like a hotel entry key card which would identify the user and tabulate the miles driven. Then send a monthly bill for use of the car. That would use existing infrastructure and provide both convenience and weatherproof mode of moving around with the flexibility of origin0-destination which mass transit lacks.